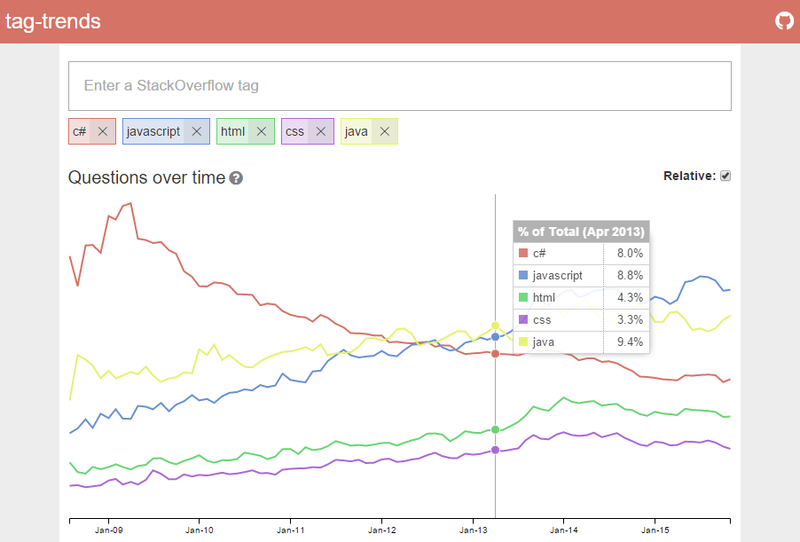 tag-trends is a web app that lets you visualize the popularity of Stack Overflow tags over time. Just enter a tag and you can see how many questions were asked about it each month. This app is written in TypeScript with Angular2. The source is on GitHub at github.com/robianmcd/tag-trends.